In 2018 Pearl celebrate their 50th Anniversary and continue their tradition of innovation by producing this Zircote wooden lip plate head joint on their Quantz 665 model. It has the usual 665 features but has special 50th Anniversary engraving. 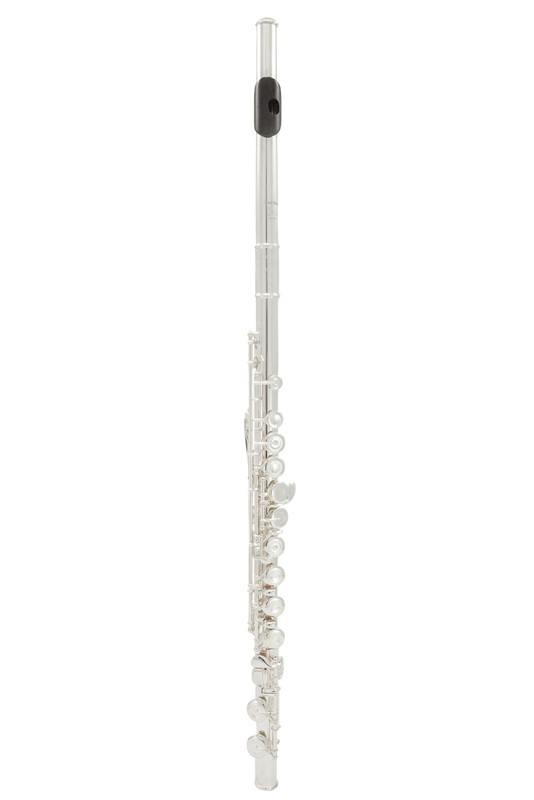 The Pearl 665E Quantz flute offers the progressing student or amateur flautist a beautifully warm tone with an exceptionally efficient and dependable mechanism. This instrument would be ideal as a first upgrade instrument, due to the improved tonal depth and interest provided by the precious metal silver head joint. Has a silver plated body and mechanism. Has a solid .925 sterling silver head joint. Has Zircote wood on the lip plate. Has an offset G (with split E). Has a C foot joint. Pearl’s Quantz series flutes embody ingenuity, and pay homage to Johann Joachim Quantz, the legendary Baroque composer and flautist. Artists continually remark on the beauty and subtlety of this series, as well as the immediately responsive, yet round and mellow sound offered. Like all Pearl flutes, their exclusive pinless mechanism is at the heart of the mechanics of this instrument. This design feature significantly reduces the levels of perspiration and body acid that can enter the mechanism, which almost eliminates the corrosion and binding of keys. This instrument also comes with French pointed key-arms, which means that the key-arms run all the way into the centre of the keys, combining elegance with strength, stability and speed. In addition, this flute has a one-piece core-bar construction, which results in an extremely reliable mechanism that plays more comfortably, stays in adjustment, and is far easier to service than traditionally constructed flutes! This flute comes with a protective French style case, plush-lined case cover with shoulder strap, cleaning rod and several cleaning cloths.